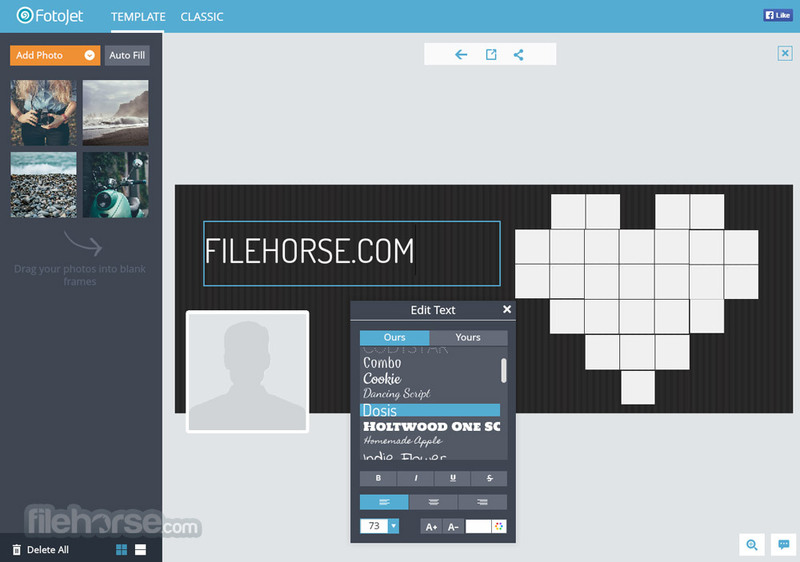 FotoJet is a free online collage maker where you can create beautiful photo collages, posters, cards and more in minutes! It’s developed by PearlMountain Technology Co., Ltd, a dedicated graphics software developer founded in 2006. From the very beginning, it has been bring many powerful, easy to use photo editing tools for the worldwide users. Make Photo Collage for FREE! 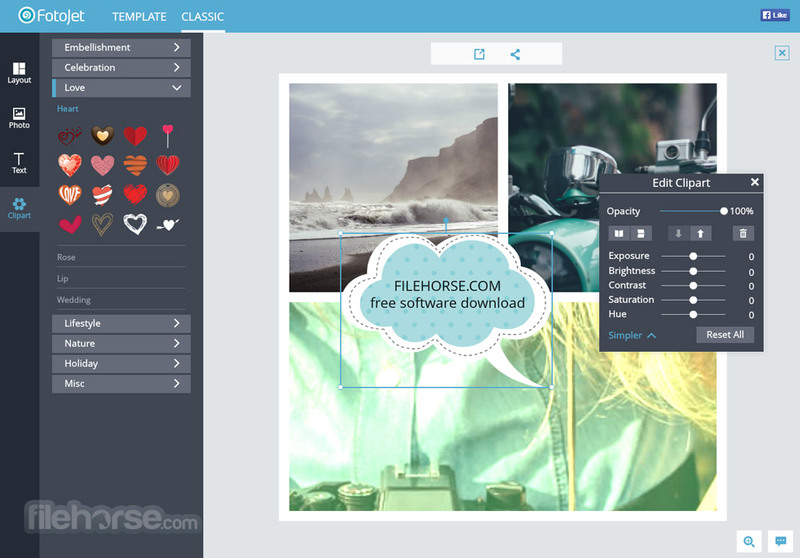 An all-in-one free online tool for photo editing, graphic design and photo collages! 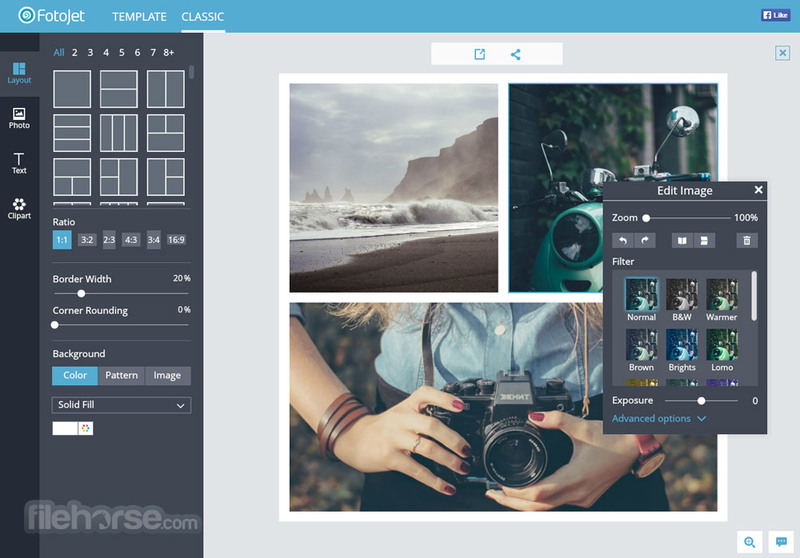 An elaborate photo montage or collage allows you to share your photos in a unique way. 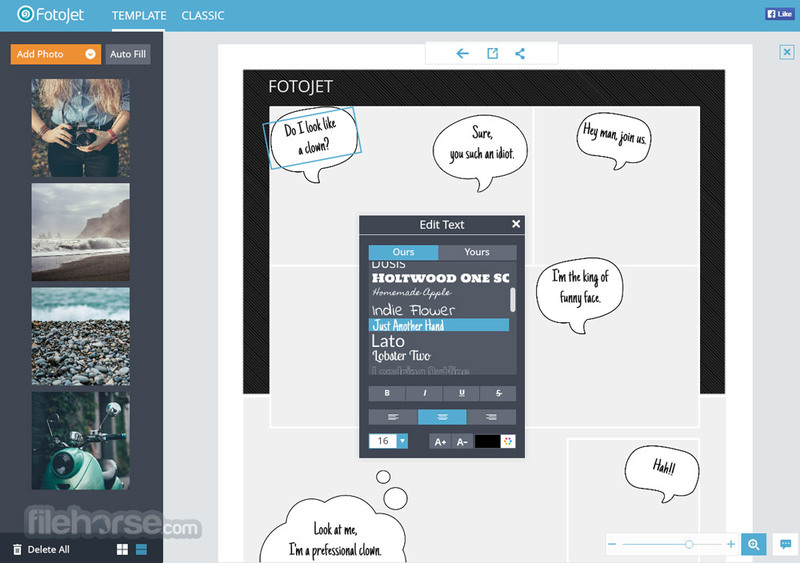 FotoJet provides powerful collage editing tools and 600+ stunning collage templates, such as birthday collages, anniversary collages, love collages and so on, to help you make your own collages quickly. Designing like a professional designer is possible for you now! Photo design, advertising design, marketing design and so on, all of your needs can be covered by our powerful graphic design tool. Rotate, crop and resize your photos for any specific use; fix the colors and lights by applying photo effects such as vintage effects, black and white effects, lomo effects and so on; convey your feelings by adding text and clipart images to your photos. All these can be done with just a few clicks. Start your exploration now! 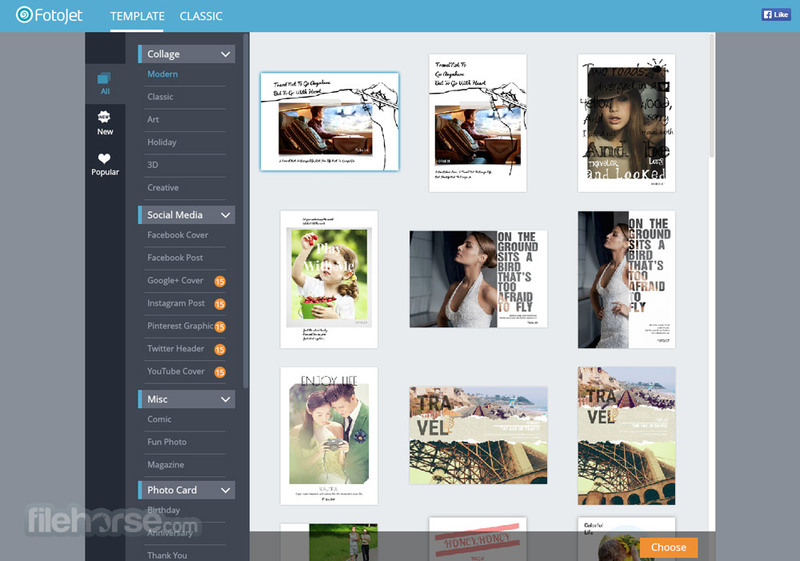 There are abundant designs provided in FotoJet for making collages, posters, photo cards and more! First, choose one you like best to start in an instant.